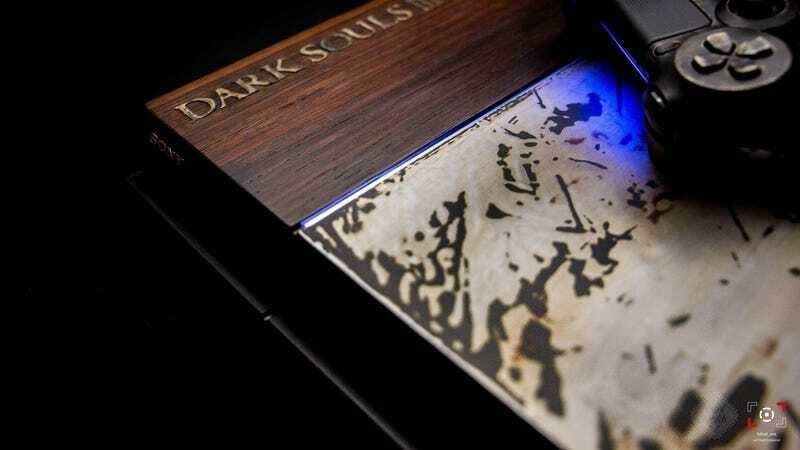 A Dark Souls 3-themed Playstation 4 can’t just be a generic plastic box. it has to be faithful to the game, either made of wood or metal. Or both. Belgian console wizard Vadu Amka used polished rosewood and brushed aluminium to give this lucky PS4 a dark, medieval Dark Souls look with coppery reflections.